Buck Formula contains the same nutrient balance as Redoy Formula and is combined with our Rackmaker Topdress pre-mix. 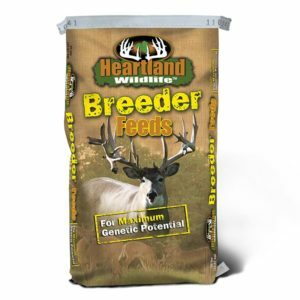 It is a higher protein textured feed designed to be fed to bucks during antler growing season. Once velvet is shed, change feed to Redoy Formula. Feed as a complete grain ration to penned deer along with good quality forage or hay.